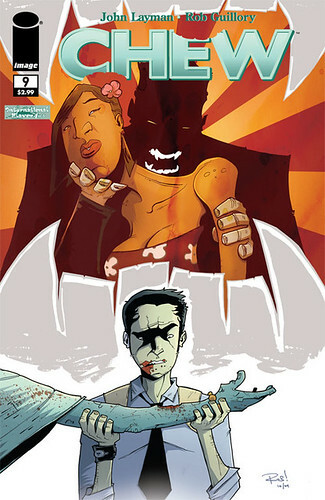 CHEW: On sale 3/3/10: CHEW #9!! On sale 3/3/10: CHEW #9!! "This issue is kind of nuts, but I mean that in the best way possible." "There's so much to gush about this series at this point that it's starting to feel somewhat ridiculous, yet the creators continue to churn out new and exciting concepts month after month, so, alas, the heaping of praise must continue." "This issue helps further solidify this title as one of the most well put together and cleverly designed books on the market, using prologues, flashbacks, story cuts, and artistic subtleties to tell a devestatingly effective story." "This book is far from perfect, but it deserves points for overall improvement. " CHEW: TOUR ITALIA is just days away! Layman in Seattle for Emerald City Comic Con '10!